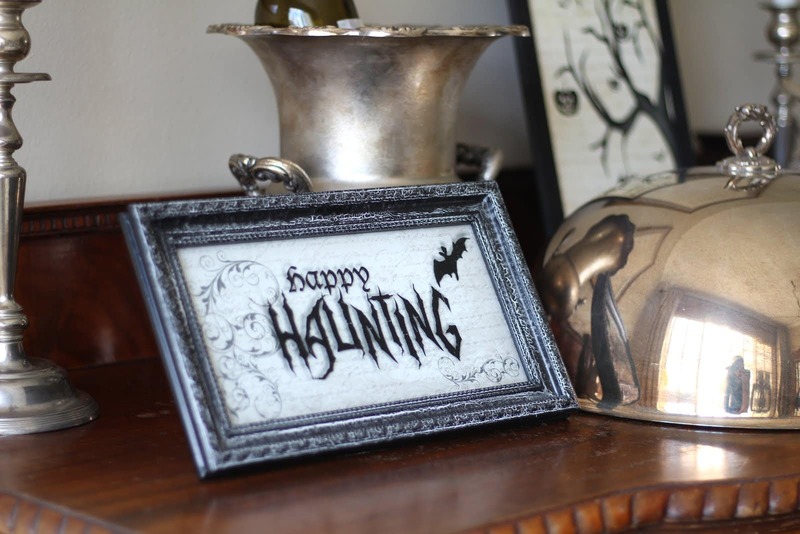 For the most part, I usually only decorate for Halloween outside. Well, until last year, that is. 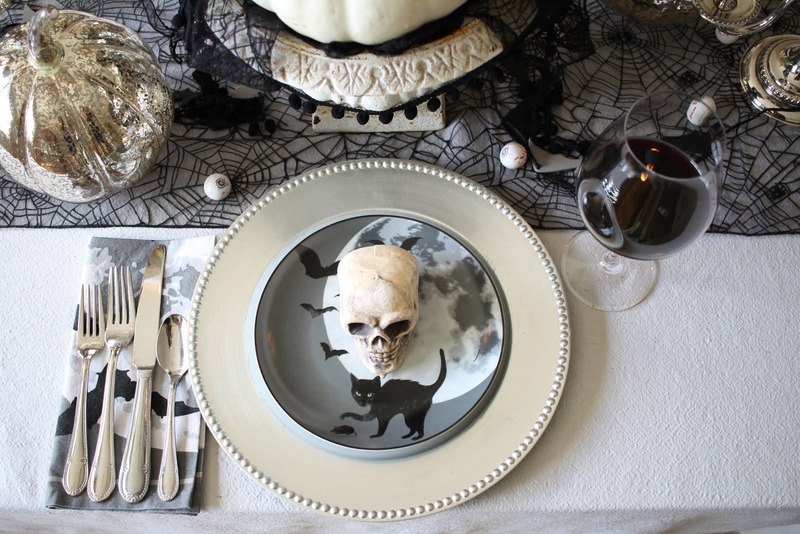 It all started when I purchased the cutest Halloween plates on sale from Williams Sonoma! 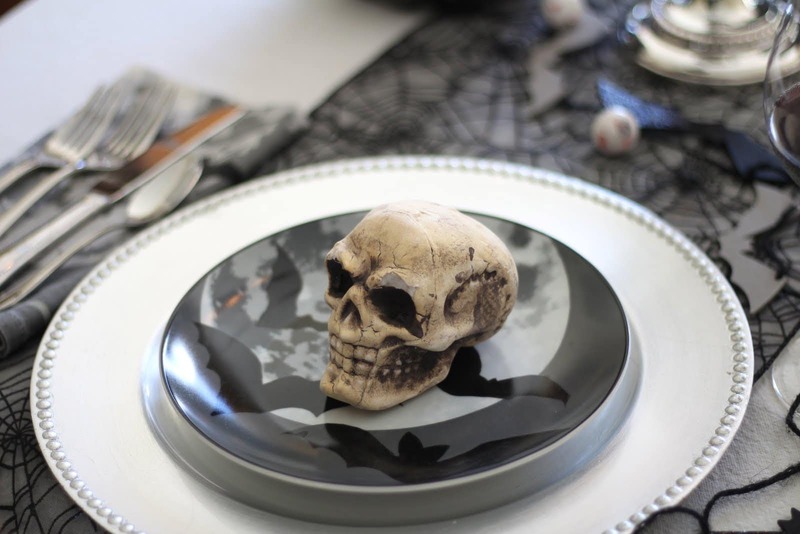 I fell in love with them, and used them in last year’s Halloween tablescape. And because that was so fun, and also because I wanted to use them again, I decided to do another one this year. I did want to mix it up though, so although I used the same plates, I used different items everywhere else. And I didn’t want it to be too scary – we don’t really do scary here. 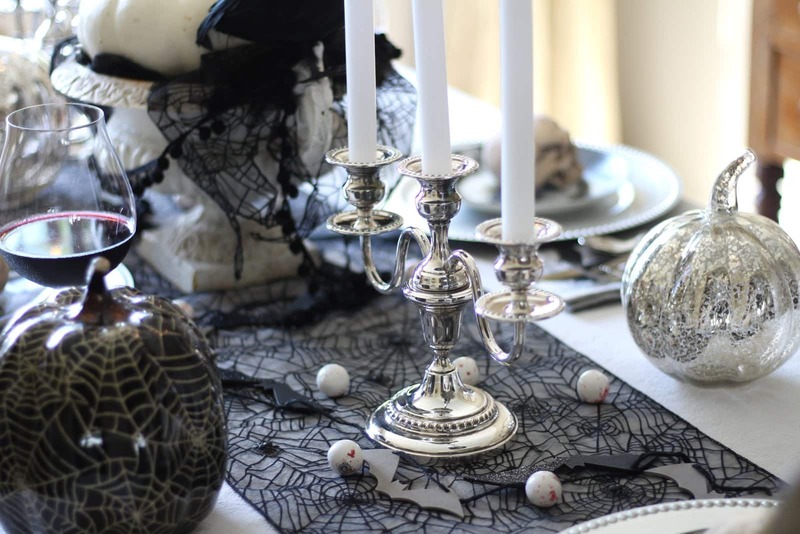 I wanted to create a fun tablescape, all in my favorite Halloween colors of black, white, and silver. 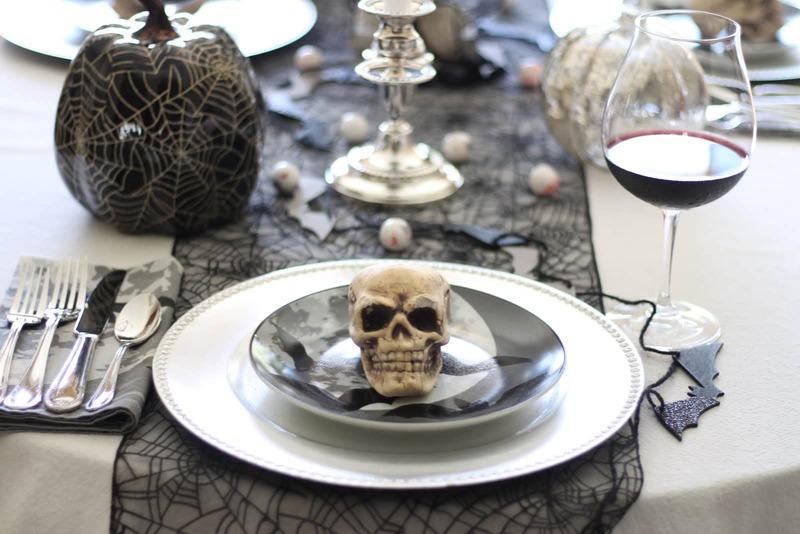 If you’re looking for more tablescape ideas, be sure to sign up for my emails and get my free e-book with twelve tablescapes – one for each month of the year! 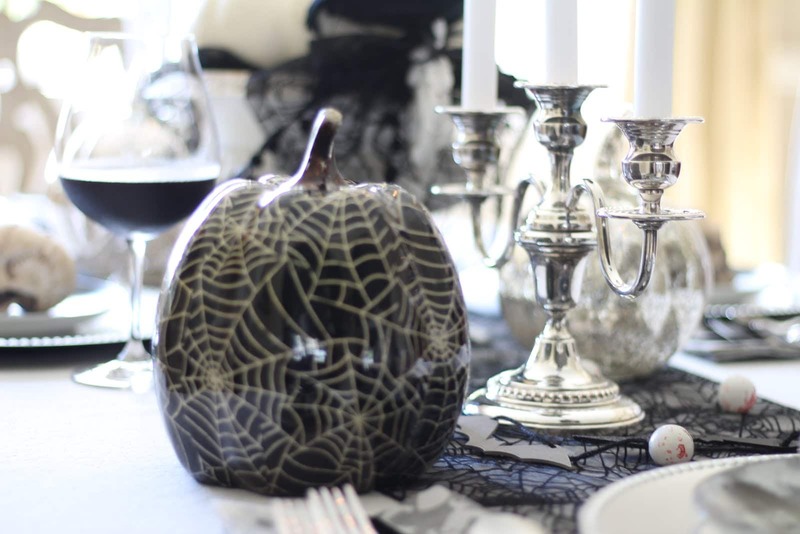 So here is my Spooky Chic Halloween Tablescape in Black and Silver…. For more tablescapes – complete with sources and tips and tricks – be sure to sign up for my emails and get my free e-book, A Calendar of Tablescapes! I didn't see this post earlier. It turned out fabulous! Oh, thank you so much Des! You're so sweet:) I appreciate you always taking time to comment, it really means so much! Oh Sheila this is so awesomely Spooky!!! 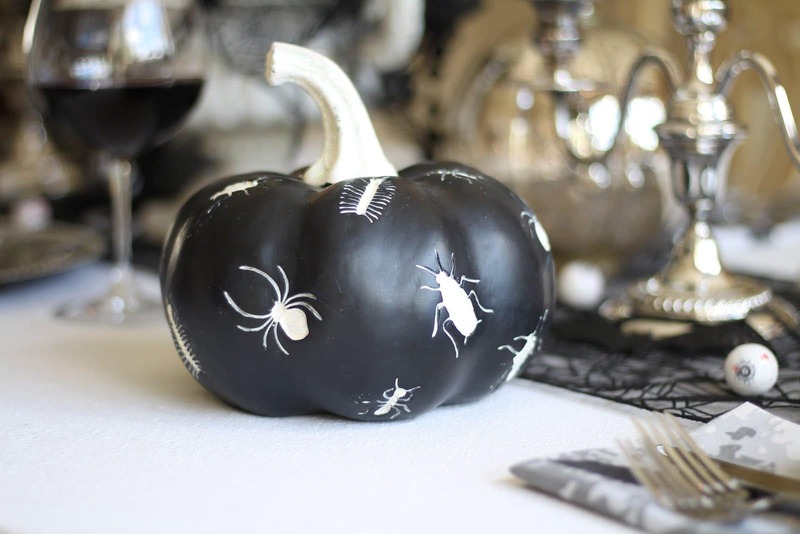 You can even make Halloween elegant! 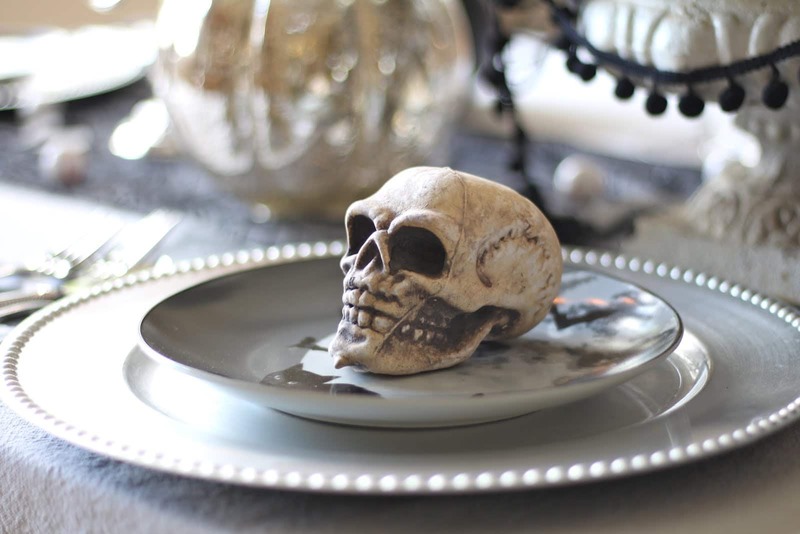 What a great table vignette…..love those little skulls!!!! 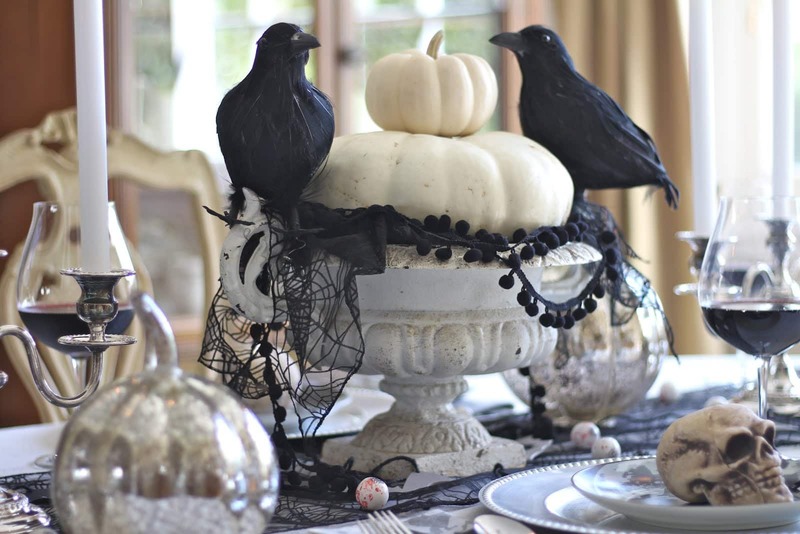 The urn with the pumpkins and crows is really fabulous! The whole thing is just spooktacular!!!!!! Aww, thanks Karen! I'm not normally a huge Halloween person, but I do enjoy a good tablescape! I know, me neither! But those plates are too cute and that got me started! Your boys would love it – you should do it! What a great table and a little surprising that you were able to get most of it from Oriental Trading…it's really fun! 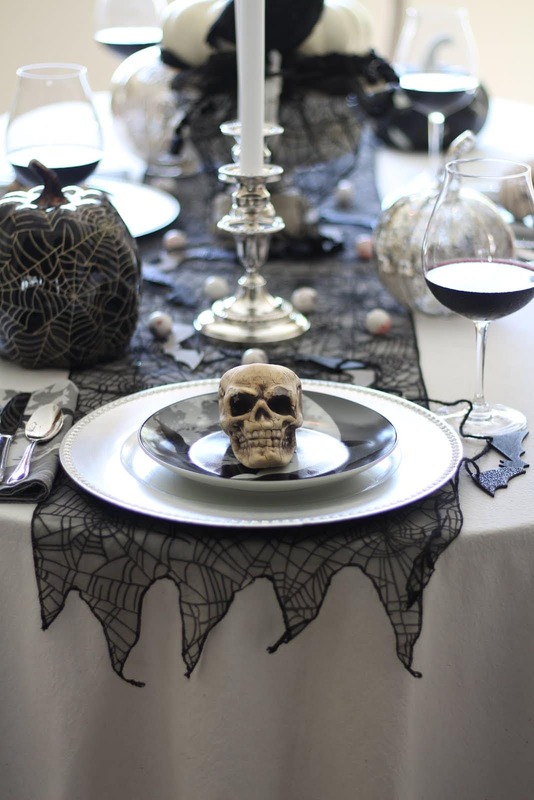 What a fun table and I love the skulls! 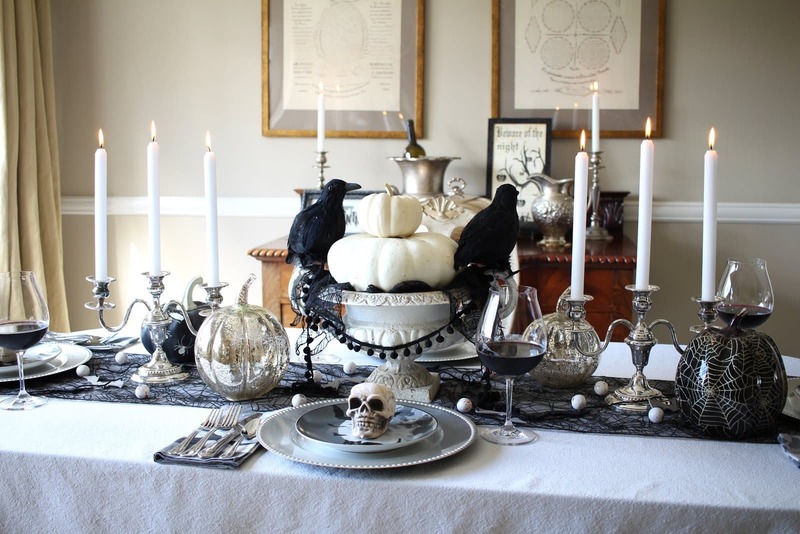 I generally don't decorate too much for Halloween but now I keep seeing creative tables like yours and now I am thinking it might be fun! My kids would definitely love it!